As the demand for less traumatic, less invasive and more natural looking facial rejuvenation in Thailand rises, plastic and cosmetic surgeons continuously develop better approaches for face lift surgery. 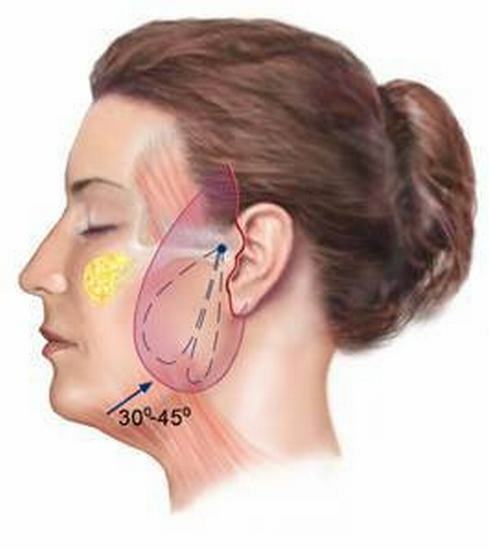 MACS Lift or Minimal Access Cranial Suspension Lift in Thailand is a Facelift technique wherein the incisions are limited to the crease on the front of the ears and the hairline above the ears. The normal approach for MACS Lift is an incision along the hairline but Prof. Somyos Kunachak, being concerned about the possibility of visible scarring, modified the technique to give our patients the option to hide the incision behind the hair line so patients can choose if they want the traditional approach or the modified technique after consultation. Usually, the hidden incision is recommended for clients with good hair volume while the incision along the hairline is for patients who already have receding or thining hair. Due to MACS Lift limiting the disturbance in the underlying tissue, risks such as post-operative bleeding and nerve trauma are significantly smaller after the surgery. Swelling and bruising is also lesser and recovery is a lot faster as compared to other facelift techniques in Thailand. Patients who had done this procedure can usually go back to work in a week after the procedure. WHAT RESULT CAN YOU EXPECT WITH MACS LIFT in Thailand? The result of MACS Lift surgery is a subtle, yet younger look with sharper facial contour visible on the upper neck, jowls, and cheeks. The eyes also benefit a little on this procedure as MACS Lift pulls the cheek in a higher position therefore lessening the pulling on the lower eyelid (On some cases, Prof. Kunachak may recommend combining the two procedures for maximum lifting effect). The result of MACS lift in Thailand can ideally last for about 10years, but like all other facelift surgery, this still varies depending on the skin elasticity, underlying muscle tone, and of course, the patient’s lifestyle. HOW IS MACS LIFT in Thailand DONE? MACS Lift can be done either under sedation or general anesthetic, depending on the patient’s preference as discussed during the consultation. With general anesthetic, the patient will have to stay in our facility for at least 24 hours for observation while with sedation anesthesia, the patient will only be under observation for at least 2 hours after the procedure. Post-operative medications such as antibiotic, pain relievers, and anti-inflammatory medications will all be provided by our surgeon. 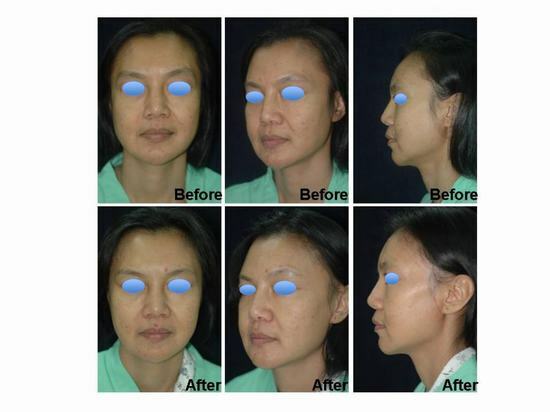 This surgery is also best done in combination with neck liposuction to make the lower face tighter and sharper. WHAT CAN OUR CLINIC OFFER in Bangkok? With more than 30 years of cosmetic surgery, our surgeon, Prof. Somyos Kunachak, one of the most well sought plastic surgeon in Thailand, already has a wide range of experience with different types of face and problems hence his recommendations and technique is already well refined. Aside from the quality of our work, we also take pride in offering a whole package of services from transportation to hotel accommodations, to tours after recovery.